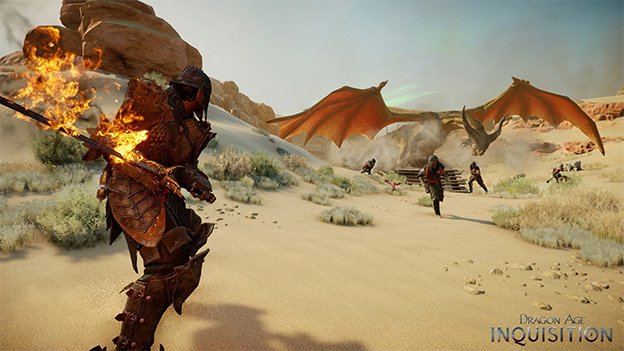 We have all been waiting patiently to see what Dragon Age: Inquisition has to offer, and E3 2014 finally gave us a chance to see the game in action. Unfortunately, seeing is all we had a chance to do. All the demos for the game were guided, and we still didn’t have a chance to really get in there and try the game for ourselves. That said, a tons of new info was revealed about how the game will play and what you can expect in the final game. So here are our experiences with the latest Dragon Age. First and probably most interesting to me is the return of the tactical camera. PC players of the original Dragon Age will remember this. This allows you to zoom the camera out and control your party, more like an overhead isometric RPG, or better yet an RTS. Instead of attacking, dodging, and taking advantage of other action style mechanics, you can take your time, pausing the game as you wish, running people to the front lines and then taking the back out when they get injured. I found that Dragon Age was only playable in this format and the fact that it is finally back makes me incredibly happy. Also, it’s not PC exclusive. Every console will get to play that way, which opens up the more strategic side of Dragon Age to the masses. The design team has also taken another look at the social aspects of the game. They have developed a new “realtime roleplaying system” that allows you to interact with people in certain ways. First of all, when you talk to a character you aren’t immediately shoehorned into a scripted conversation. While you are talking you can walk around, manage your inventory, and even attack the people you are talking to! Your behavior during conversations will actually effect the conversation you are having, so it’s a lot more complicated than simply being brought to a tech tree and being asked to pick the “best” decision. This realtime roleplaying system will be a factor in just about everything about your character. People will react differently to you based on your gender, your race, or the equipment you are wearing. If you look like someone who is incredibly threatening and intimidating, you probably will threaten and intimidate anyone you talk to. If you look like a poor beggar, people will treat you like one. The game will vary vastly depending on how you play it. It sounds like this is really more PR speak than anything else, but if they manage to deliver on the promise, it will be a huge step forward for the roleplaying genre. 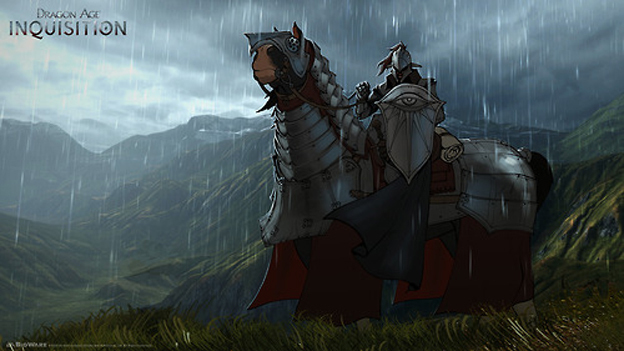 Dragon Age: Inquisition is yet another game that is riding the open world hype train. There will be numerous side quests for you to take advantage of which will give you significant rewards. That being said, the team is trying hard not to make any of these side quests throw-away tasks. One of the biggest problems with open world gaming is that you always feel like you are doing a million things, yet none of these things matter to the central plot. Dragon Age isn’t about that. Instead, they want to build a game that feels uniquely alive. Your actions in Dragon Age: Inquisition will also change the world. If you build a bridge between two points, that bridge will remain there not only for your travel, but for NPCs to migrate from town to town. If you build outposts and encampments on the roads, you will be able to control transportation, sniff out highway crime, and hear multiple rumors. BioWare’s goal is to make the player feel like they have a real impact on the world, and that’s an admirable but difficult goal indeed. Your decisions from previous Dragon Age games will factor into how Dragon Age: Inquisition. 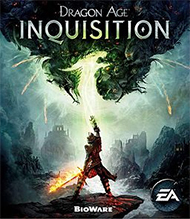 However, the team knows that not everyone has played all the previous titles, or for that matter not everyone will be purchasing Dragon Age: Inquisition on the same platform that they played previous titles on. That’s why the team has developed Dragon Age: Keep, a browser based application that will basically allow you to craft your own custom save file for previous Dragon Age games. You will simply be asked a series of questions in order to develop the exact backstory that you want. Overall, Dragon Age: Inquisition looks like it’s going to be a lot of fun. We only wish that we could have had actual hands-on time with it. Dragon Age: Inquisition will likely be one of the games to look out for in this coming year, and is one of the only big RPGs that is on our upcoming game radar. 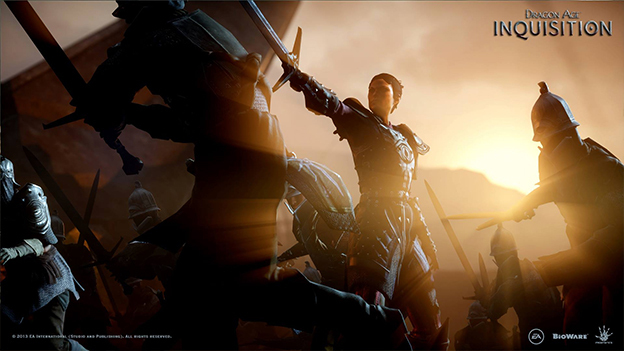 Dragon Age: Inquisition is set to come out on November 18th of this year for the PC, PS3, PS4, Xbox 360 and Xbox One. Bring the world of Thedas wherever you go with the digital soundtrack.